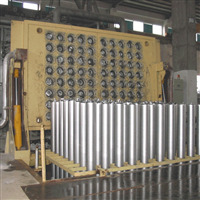 Located in Nanhai district, Foshan city, Songgang Hangxing Aluminum Equipment Factory is a professional producer of aluminium melting and casting equipment in Guangdong province. 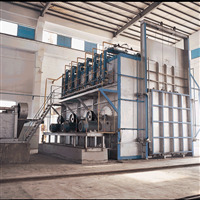 Regenerative energy-saving aluminium melting furnace (can configure stewing foundry furnace), hot top casting-same level hot top casting system and forced cooling cast rod homogenizing oven block, which is the main equipments, are on the par with that of the most advanced ones in domestic market. The business of the factory covered all parts of our country and is favourably reviewed by aluminium equipment factories and enterprises. For instance, Guangdong, Guangxi, Yunnan, Hunan, Hubei, Shandong, Sichuan, Lanzhou, Zhejiang, Shanxi, Jiangxi, Jiangsu, Gansu, Liaoning and Inner Mongolia, etc. The products are exported to Malaysia, Vietnam, Russia, Syria, Uzbek, Bangladesh and Albania, etc. 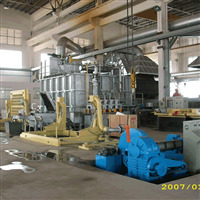 The factory will carry on the service principle of “customers first and reputation foremost” and the practice of undertaking the whole thing of fabrication, installation, shakedown test and quality insurance to provide the most perfect and practical equipment for customers by excellent products and fair prices. Welcome factories to visit, call, send letter to us to consultant, negotiate and make orders.